10/10/11 Update: This special offer has expired. Want advance notice of money-saving APC deals and special promotions? Subscribe to our newsletter. 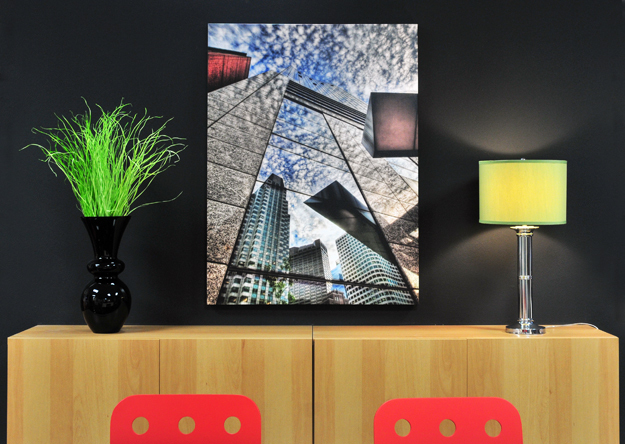 Get a 16x24 thick or thin gallery wrapped custom canvas print for just $79! Order as many as you'd like — and save a whopping $40 off each one. 16x24 (aka 24x16) is one of our most popular sizes — not too big, not too small — just perfect for decorating and gift giving. To take advantage, enter Promo Code WE1624 in the box provided beneath your shopping cart. 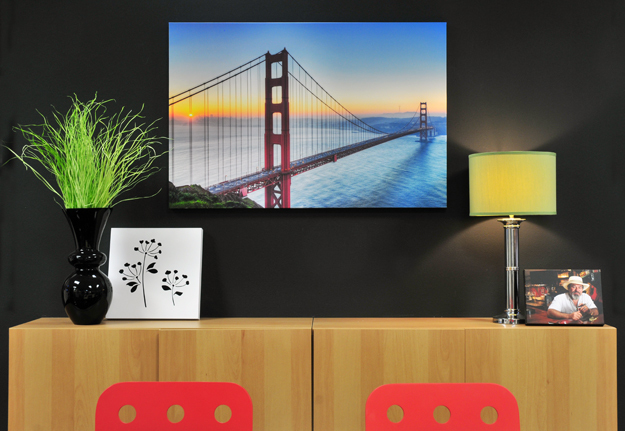 Click here to start creating your new canvas prints. Don't let this huge deal pass you by. Start picking your favorite photos now for the legendary APC canvas treatment! Offer expires Sunday, October 9 at midnight ET. “This photo was taken heading north on the beautiful Kananaskis Trail in Alberta, Canada. Its a beautiful area where you can see an abundance of wildlife, pristine mountain lakes, and of course the most amazing skies. Truly a place where you never put your camera down. I processed this picture to accentuate the foreboding sky; driving towards the oncoming storm, following the yellow lines. “The ‘Narrows’ of Zion National Park, Utah, are a popular park location for the average tourist during the summer months because they provide plenty of shade and cool waters — an easy way to escape the extreme temperatures of the southwest. But come late October the ‘Narrows’ are bone chilling, especially when you are wading through calf to thigh water for hours on end looking for a moment to capture. “This particular day I spent 5 hours with a fellow photographer exploring all the nooks and crannies. Trying to find a good place to set up the tripod was tricky due to all the rushing water, but with a little patience it paid off. 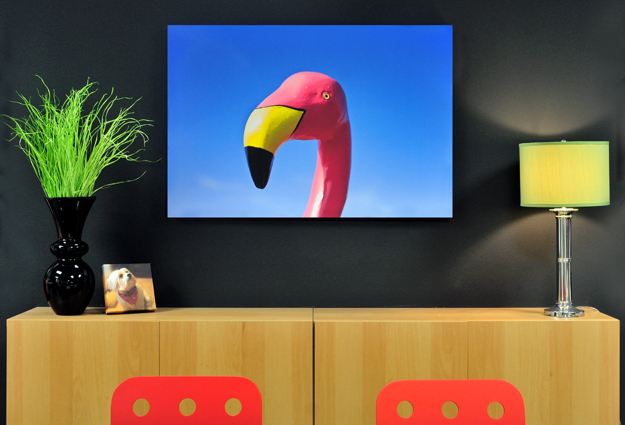 Ready to order gallery wraps of your own? Like Jody, you'll love the winning combination of superior quality, great service and exceptional value at Artistic Photo Canvas. “This shot was taken at sunrise on January 21, 2011. There aren't too many days in San Francisco when the fog doesn’t totally eclipse the Golden Gate Bridge and the surrounding areas. However, if you find yourself here on a fogless day, it's the most beautiful city anywhere. The previous few days looked a lot like this and I kept telling myself that I needed to get up in the dark, drive to the Marin Headlands, and shoot the bridge before the fog came back. Ready to order canvas prints of your own? Like Josh, you'll love the winning combination of superior quality, great service and exceptional value at Artistic Photo Canvas. Renowned pro shooter and author John Batdorff has once again teamed up with Peachpit Press to bring photographers a thorough reference guide for bringing their work to the next level — this time with a focus on achieving the perfectly balanced black and white photograph. 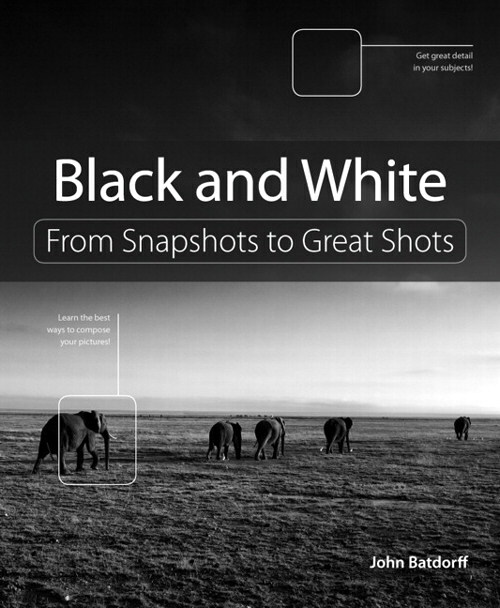 In Batdorff's new guide, Black and White — From Snapshots to Great Shots, you'll get tips on everything from setting up your camera kit to DSLR shooting techniques to post processing in Adobe Lightroom and achieving the perfect print. Check out Chapter 6 for information on printing, posting, and sharing your work. John is no stranger to Artistic Photo Canvas when it comes to displaying his award winning photography on our gallery wraps. In fact, he has a huge 40" x 60" gallery wrapped canvas print from APC featuring his new book’s cover photograph hanging at home. Those mastering their black and white photography skills with John's help can share their photos with the book's Flickr group! And once you've got the shot, show it off! Join the book's Flickr group, share your photos, and discuss how you use your camera to get great black and white shots. 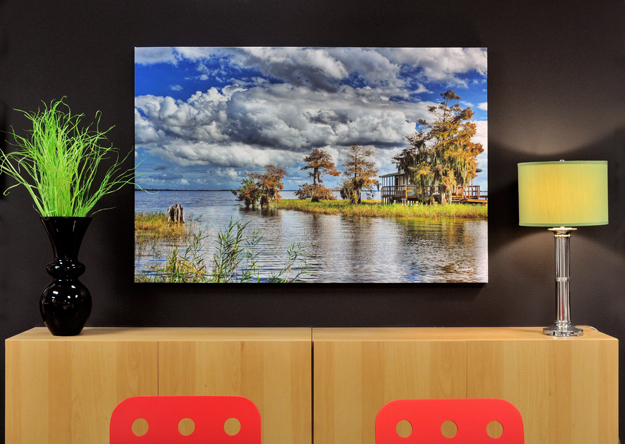 Ready to order gallery wraps of your own? 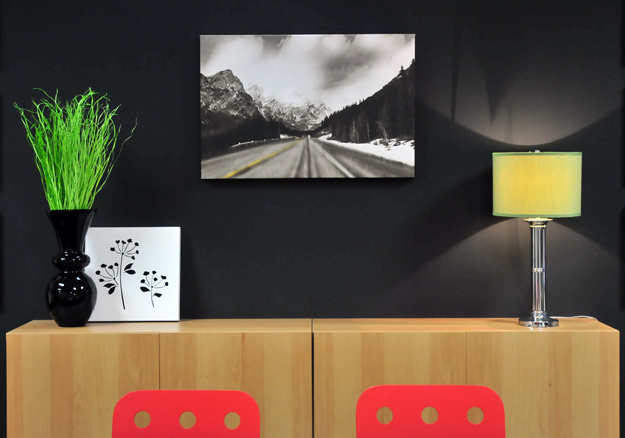 You'll love the winning combination of superior quality, great service and exceptional value at Artistic Photo Canvas. “This is one my favorite live images featuring Perttu Kivilaakso performing with the Finnish orchestral rock band Apocalyptica. Live music photography is all about capturing 'the moment' under some of the most extreme photographic challenges imaginable. The night this image was captured was like most live music assignments. Three songs, no flash, from the photo pit. Lighting was largely atmospheric in nature with heavy use of fog machines. “Having captured the requisite individual artist shots, I grabbed my wide zoom in hopes of some full band shots during the third song. To my delight, Perttu approached the front of the stage allowing for one of my favorite uses of the wide zoom in which the artist fills the frame while capturing the stage environment. What makes this photo a favorite is the classic orchestral stance with Perttu's hands and face consumed in the artists personal moment in an environment that leaves no doubt that this was a full on rock show! Allen Ross Thomas is an Atlanta, Georgia based music photographer. Nature photographer Ron Wooldridge has an abiding passion for the sea and most things that go with it. Blue Cypress is an HDR photograph, processed on NIK software, utilizing a 5 shot array. It was taken with a Nikon D3X camera equipped with a Nikkor 14-24 lens on November 30, 2010 in front of Middleton's Fish Camp in Vero Beach, FL. 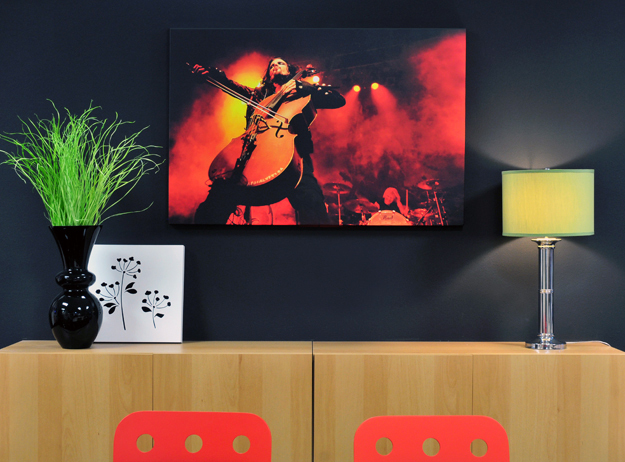 Ready to order canvas prints of your own? 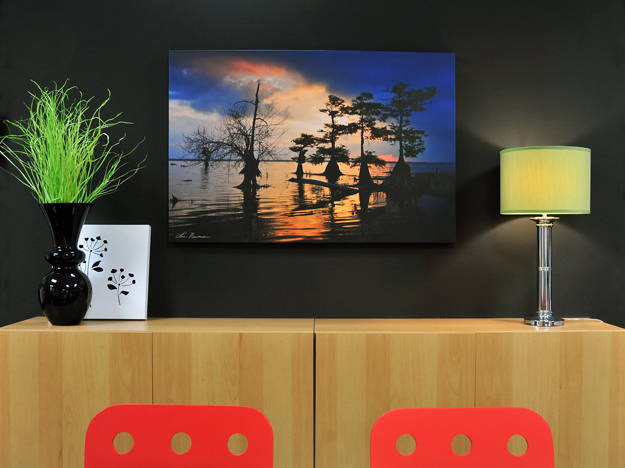 You’ll love the winning combination of superior quality, great service and exceptional value at Artistic Photo Canvas. “I took this shot about two summers ago and it reaffirmed two truths about photography: 1. You always need to carry a camera wherever you go, and 2. Mother Nature is a fickle gal. “I worked a few blocks away from the InterContinental Boston (pictured) and took a stroll after work. I happened to bring my camera with me that day, which was not altogether too typical for me during the week. When I left my office, the weather was warm and the sky was blue all around. “About 15 minutes later and out of nowhere, the sky was covered with an armada of clouds. I was right near the ICB and noticed the reflective qualities of the glass facade and how it gave the appearance that the clouds were flowing through the building. I knew I wanted to bracket my shots to create a tone-mapped HDR image but I didn't have my tripod with me (Oh, the humanity! ), so I leaned against the wall of the hotel, braced my camera while aiming up, and fired. Brian Matiash is Curriculum & Education Manager at OnOne Software and an HDR expert. He is based in Boston, Massachusetts.